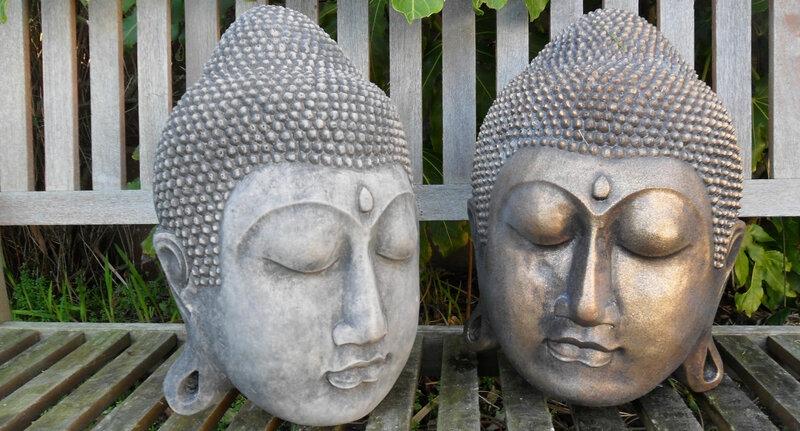 Buddha statues are one of the best home décor ranges according to the interior decorators. Having made with different materials like metal or stone, it suits the budget and preferences of several people. They are easily available in distinct styles and postures. It is a wise decision to invest in a statue to explore what is all about before proceed towards buying it. Feng Shui utilizes garden Buddha statues for the progress of chi vitality all through the homes and the greenery enclosures. There are several directions on how precisely you place the statue to maximum positivity in the home. It is generally disrespectful to place it in on the grounds or in a bathroom. If you want to place it in the bedroom, then keep it in the cupboard so that you can close the doors when not involved in prayer. When put in rooms or in the patio, it must be set confronting the room. Yet, if it is going to place nearby the entrance, it ought to be set to confront the passageway. It depends on you to choose the desired one that can effectively strengthen the weaker section of your life. Garden ornaments bring peculiarity to your outdoor living standards. Various designers’ statuettes and unique pots impart garden area an exceptional beauty. You can locate them anywhere according to the area provided, whether at the centres or corners. Many patterns of long lasting outdoor fountains are available in the market with unsurpassable quality. You can opt for the one that appeals you the most entrancing way. Why to choose Garden Ornaments? 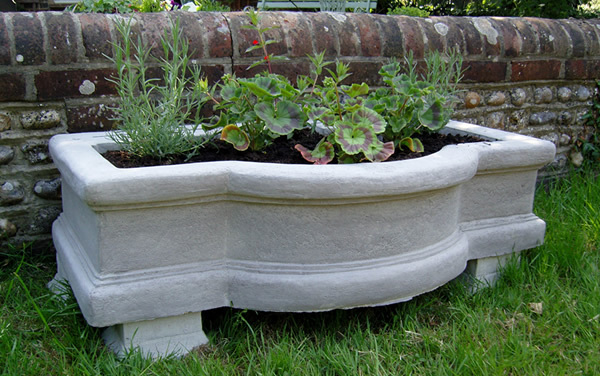 Stone garden planters bring life to your dull corner and convert it into an exquisite focal feature. They are available in lots of shapes, sizes, colour and varieties. Moreover, garden statues and planters take your garden’s decorations to an exceptional level. Garden statues are available in various sizes; they are obtainable from mythical statues to human statues. They also include birdbath and fountains. Garden planters consists of artificial or natural items, such as stone, terracotta, wrought iron, aluminium. Many types of plants planted into the garden planters certainly enhance the beauty of garden. They make the garden look more beautiful when planted in a row. Another application is they can hide the area where pipe and cords are evident. Stone garden planters are the best options when it comes to decorating the garden; they occupy less space and give more ramifications to the garden area. They are easily available in various design and size. Seasonal plants sown to display wide variety of flowers takes its beauty to another level. Variety of antiques made up of limestone and sandstones are delicate though but have unique finish. They are available in affordable prices which surely does not makes holes in your pockets .Another feature that adds on to its benefits is plantation which increases the greenery that is a treat to eyes. In many ways, garden ornaments are advantageous because they are available in various designs and sizes. Especially, stone garden planters help in making a boring garden convert into a delightful view. The non-returnable things are the precious ones but people usually throw them away because with time they lost the sheen. Architectural salvage introduces the antique material from the old buildings, old houses, and antique things from the museum that is facing demolition. Some common examples include stained glass, porch columns, pedestal sinks, steam radiator, and Victorian moulding. With curiosity in the recycled goods, one can get many fine pieces of the old hardware, tin ceilings, decorative element, and ceramic tiles at the salvage yards or junk stores. The salvage home is the centre that buys and sells the antique showpieces in the demolished form. The centres have a huge stock of the antique items purchased from the people, afterward, maintain the antique, make it new looking item, and then put it for sale. The salvage houses utilize every old piece and produce then into the new look. The only benefit is the item cost will be less than the actual cost of the masterpiece. One can find the colours of rusty iron, subtle bronze, and weathered timber in the salvage store. Many people may have seen the unique sculpture at the restaurants, gardens, and even in the corporate offices. They always prefer antique things for the decoration; hence, the salvage homes keep adding the diverse assortment of architectural salvage so that people can choose from the constant inventory of different items. One does not need to be an artist for creating the interesting sculpture for the decoration purpose with the salvage items. Many ways one can utilize the demolished things. With the wooden spindles, you can mount the bird’s house, letterbox outside the house, and as a lamp base. Ceramic tiles make a beautiful splash for the kitchen and bathroom sinks. Once you use the architectural salvage, new ideas will come to mind for buying and creating your own salvage antique. The pleasing sound of water features garden offers new life to any size area or patio that requires a vibrant life. The myriad range of such fountains or features that you choose implies you can amplify your mood when you spend some moments sitting around it. Most of the people choose a calming reflection feature whilst some others will choose a fishpond adorned with ornaments. These water features and fountains come in various designs, sizes, categories and shapes. Innovation in solar alternatives has paved the way to flexibility in design of the garden fountain, which accounts for a major behind their popularity. You can bring verve to any space by adding such fountains or features and make the environment more serene. There are several online shops offering a wide range of such water features in a variety of mediums and materials like bamboo, fabricated rocks and river rock. With it, a sagacity of beauty and serene coolness can easily offer to your outdoor. The sweet sound of trickling water from waterfalls or fountains inclined to attract people near the sound and soothing sight. Your own creativity will facilitate you to add a relaxing and healthy area to suit best your requirements. There are unique, classy, simple, plug and play designs to twist a small area into a calm location for meditation and prayer. To conclude, myriad beautiful and eye catching water features garden and floating water properties will sway away your senses. They are the best to complement the Eco system and alongside, appreciate the value of your property. Wall fountains are very trendy water features used in houses and hotels. 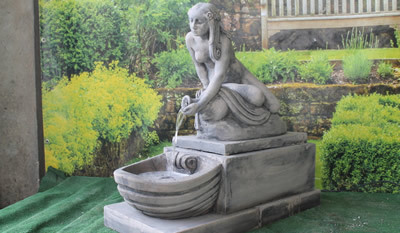 Also popular as artificial wall fountain or water feature, several companies provide these decorative items at bearable costs and with unique designs. Wall fountains are dedicated water source and re-circulating fountains. They give your place a unique touch and depend on the amount of water that will use. The important factors include the rate of water loss because of evaporation and possible splashing if it is an outdoor wall fountain. Re-circulating mounted wall fountain is one of the most common types of wall water feature. It finds its best use in home and small offices. Wall fountains are available in many styles and materials that span from brilliant metals to stone. These types of water fountains are very decorative. Specifically, stainless steel water fountains are very charming and elegant looking. People prefer using them in corporate offices and other similar places to add sophisticated and modern touch. These water fountains come in about every size, which means that one may fill up a great deal of space. These wall fountains will design easily with a corporation’s logo included directly on the design. Art wall fountain combines paintings with the beauty of a fountain, which enhances the appeal of both elements. Paintings used in designer wall fountains are originals, created for inclusion in a water feature. Most wall fountains need a dedicated water source and the water used in re-circulating fountains undergo continuous repetition throughout the entire day. Be it is inside or outside at home or office, wall fountains offers a touch of elegance and class. A home or a property gets matchless visual appeal when a suitable outdoor fountain is installed in the garden or the lawn present in front of it. The fountain installed in the garden not only adds value to the property but also enhances its beauty and aesthetics. No wonder, landscaping experts suggest to install water fountains in gardens to personalize exteriors and get a host of health benefits. Selecting suitable water features for residential or commercial properties can be quite challenging amid various options available in the market. However by following these tips you can easily select the suitable fountain and make the most of it. When it comes to buying a fountain then you must take into account the size of your garden. The size of your fountain must be in proportion such that your garden may not look overcrowded or the fountain gets to be predominantly large spoiling your garden’s looks. You can select from among a wide range of stylish garden fountain available in classic Limestone, Sandstone, Bronze, Antique stone, White Limestone, and other materials. You must purchase the fountain that enhances the beauty of your property and suits your needs and preferences. Whether you purchase wall fountain or garden fountain you must ensure to install it on a hard ground. The heavy weight of the fountain may let it submerged into earth if it is wrongly installed at a place with loose soil. You must select a leading supplier that offers the best price quote for your desired garden fountain. The price of fountain depends upon the size of fountain, type of material used and other features or accessories included in it. 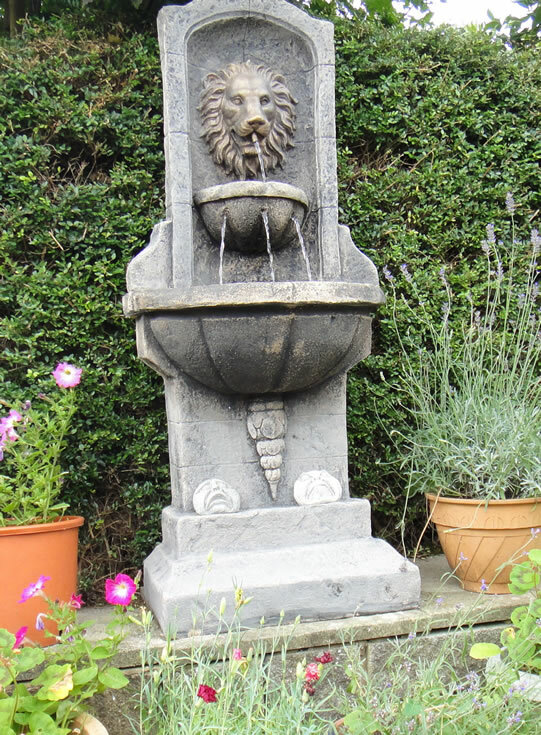 Geoff’s Garden Ornaments Ltd. is the leading supplier of stone fountains, garden statues and stylish water features products to its clients throughout UK. If you are confused regarding selection of suitable design, color and material of garden fountain then it is best to contact an experienced landscaping consultant. He or she will guide you to get the best quality fountain and install it in the most convenient way at a suitable place that will help you realize your purpose. You must also ensure safety and security nearby your fountain. 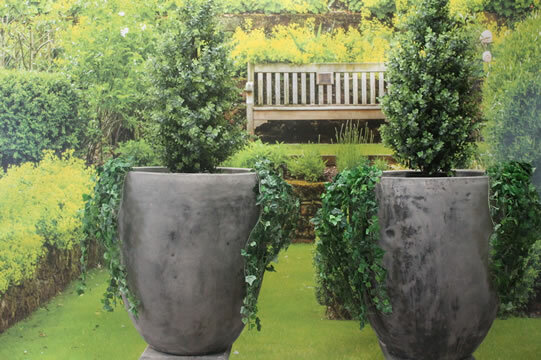 For more information about various kinds of garden décor products, feel free to visit us online at http://www.geoffs-garden-ornaments.co.uk/. When it comes to making one’s home exteriors look elegant then installing premium quality garden statues and garden fountain can prove to be the best bet. Your garden plays an important role in determining the looks and feel of your home exteriors. Any property can be transformed into a great living space by landscaping the area. With a well maintained and beautiful garden with elegant fountain surround you can easily personalize your home exteriors and get the most suitable place for relaxation. A garden or lawn is the first thing that guests visualizes when they come to visit you. The beauty and elegance of your garden is most likely to make a sound first impression of your personality on them. They will be impressed by the beautiful landscape and your refined taste and meticulous care and maintenance. 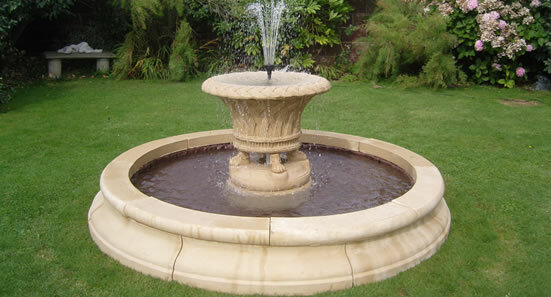 Purchasing outdoor fountain made in classic limestone, bronze or antique material and installing it in the centre of your garden will greatly enhance the visual appeal of your residential or commercial complex. This will create an immaculate fountain surround and will provide you a host of benefits to you and your family. You can make your garden simply look superb by installing suitable garden fountain procured from a leading supplier. The fountain will provide a cool environment. You can easily de-stress yourself in your garden after a hard day’s work. Your garden fountain will act as natural humidifier that will keep your home and home exteriors cool thereby providing soothing and comfortable living space. Geoff’s garden ornaments facilitates people in UK select from among the best garden decor products and thus transform their home or office exteriors the most desirable place. 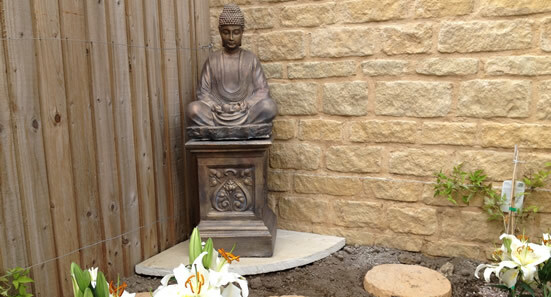 Whether you need to install water fountain or Buddha statue, Ganesh statue, lions statue, Geoff’s garden ornaments will meet your garden decor needs in the most convenient and cost-effective way. With a wide range of high quality stone statues, modern water fountains, Buddha statues, urns and planters, the company facilitates individuals and businesses meet their garden decor needs in the most professional and reliable way. So make it a point to browse the gallery of the site and visualize a wide range of classic and contemporary styled garden decor products for the online purchase. With the most user-friendly shipping and money-back guarantee, you are most likely to purchase your desired garden statue, garden fountain or other products and get the best value for money. For more information on products and services feel free to visit us online at http://www.geoffs-garden-ornaments.co.uk/. Like beautiful home interiors the exteriors of a home must also be elegant in order to provide the best ambiance for a smooth and comfortable living. A beautiful garden with elegant water fountain and traditional or modern styled garden statues never fail to attract attention of guests and neighbors. They not only make the garden simply look superb but also create an amazingly beautiful landscape. Fountains and statues add to the value of a property and help owners personalize the look and feel of their gardens or parks. 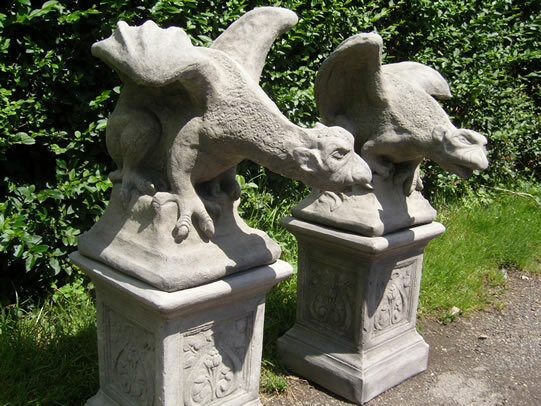 If you want to install Gargoyle & Griffins as gatekeeper in your garden then you must purchase the same from a leading garden decor products supplier in UK that will meet your decor needs in the most convenient way. Geoff’s Garden Ornaments is a leading garden decor products supplier that offers a wide array of stone statues, garden fountains and other garden ornaments on a discounted price in a convenient way. You can easily purchase an intimidating pair of gargoyles produced in antique stone that will simply make your garden gate look awesome. Geoff’s Garden Ornaments is committed to provide all garden statues and garden ornaments made from premium quality stone reinforced with fiber and being fully frost proof. These statues and garden fountains will give you a long lasting service and will enable you get appreciation from all quarters. With a dominant online presence, user-friendly payment and delivery policies and having over 28 years of experience, the family-owned Geoff’s Garden Ornaments is committed to meet garden decor needs of its clients in the most reliable way. Besides Gargoyle & Griffins, you can purchase Buddha statues, Ganesha statues, lion statues, other animals’ statue, urns and planters as well as plaques, benches and plinths. The company offers full money back guarantee on purchase of any item in case the client does not get 100 percent satisfaction. So what are you waiting for? Feel free to browse through the site, visualize the gallery, select your most favorite garden statues and order for the online purchase through the comfort of your home or office. Your ordered product will be conveniently delivered at your doorsteps as per your convenience. Whether you want to decorate the garden of your home, office or any commercial complex or you want to give new looks to your home interiors, feel free to contact us through phone 01243 532 390 or 01243 532 357 or drop an email at info@geoffs-garden-ornaments.co.uk. You can also visit us online at http://www.geoffs-garden-ornaments.co.uk/. ‘The greatest gift of the garden is the restoration of the five senses’. Quoted from Hanna Rion the sentence exemplifies the importance of garden in our lives. It is not only the place that determines the beauty and elegance of any residential or commercial property but for many people it is the place where they can relax, meditate and even hear the voice of God. There can be no better experience than spending quality time with your family or friends in your well maintained garden amid the greenery and garden statues. Installing high quality stone ornaments and statues in your garden will greatly improve the landscape and will enable you get good compliment from all quarters. You will be able to personalize the looks and aesthetics of your home exteriors that will speak volumes of your refined taste and temperament. 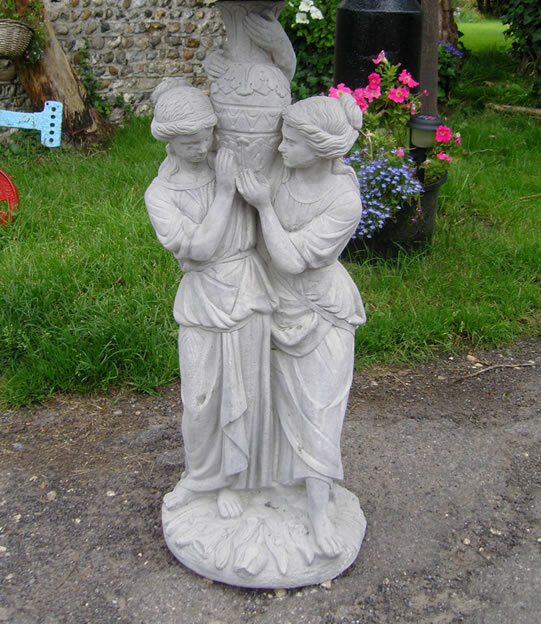 Geoffs Garden Ornaments is a leading name among Garden statuary UK suppliers that offers a wide range of garden statues, water fountains, stone urns and planters and animal statues at a cost effective price in a convenient way. Whether you have to install small or large size Buddha with aged stone, bronze or gold finish or you want to install Gargoyle & Griffin Statue at your garden’s gate, you can easily purchase the desired garden ornament from the leading supplier. This will help you accentuate your garden’s beauty and your family and friends would greatly applaud on your beautiful choice. Children love to play near pool surrounds and will enjoy the beauty and cool environment near the fountain. What separates Geoffs Garden Ornaments from other suppliers is its commitment to provide high quality décor products to suit any type of garden statuary UK, at a discounted price to its clients in a prompt and simplified way. All the products offered by the company come in high quality cast stone being fully frost proof with fiber reinforcement and buying them at a pocket-friendly cost offers the best value for money. Geoffs Garden Ornaments facilitates people to select from among 5 categories of outdoor fountains. You can purchase and install water fountain produced in classic limestone or Antique stone, Sandstone and bronze as per your specific needs and preferences. For all your garden décor needs you can rely on the expert and dedicated folks of Geoffs Garden Ornaments who have over two decades of successful experience. Feel free to view our gallery and purchase the desired garden statue as per your convenience. You can contact us directly on 01243 532 390 or 01243 532 357 or visit us online at http://www.geoffs-garden-ornaments.co.uk/.